The role of the American Zen priest is—like everything else—in flux. It’s clearly different from that of the traditional Japanese Zen priest who inherits a family-run temple and conducts funerary rituals. It’s also different from that of the Sensei who’s recognized for having achieved a certain level of spiritual attainment and is authorized to offer teisho and daisan. The novice lacks the full priest’s authority to teach, offer jukai, or preside over marriages and funerals. What the novice priest essentially has is the authority to chop wood and carry water—the exact same authority one had prior to ordination—that, and the right to wear the inner and outer robes of the priest and to learn how to conduct onself with menmitsu no kafu—the exquisite, careful, considerate, and intimate attention to detail that uniquely characterizes Soto Zen activity. In a culture addicted to fame, competition, consumption, and acquisition, the robes are reminders of the Enlightened Way to all who wear and witness them. 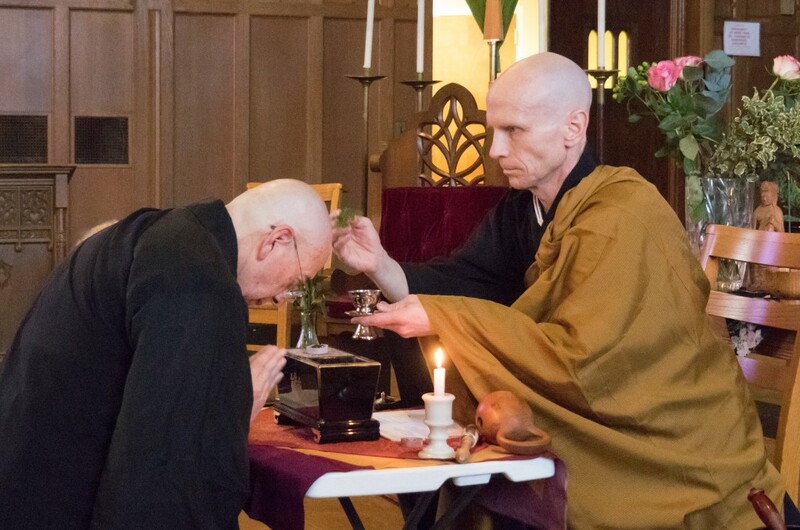 In American Zen, the path of the priest opens up opportunities to engage in pastoral counseling, chaplaincy, interfaith collaboration, presiding over rites of passage, and promoting social justice. It’s a means of both transmitting Japanese liturgy, ritual, protocol, and etiquette and also of thoughtfully adapting them to American needs. The priesthood embodies the Bodhisattva ideal of service to all beings. Since retiring from psychotherapy, I’ve sought to use the skills I acquired as a therapist—listening, presence, holding a space, using language to unlock potentiality—in some new role unconstrained by the dictates of professionalism, the medical model, the fifty-minute hour, and the insurance industry. It’s my greatest hope that the priesthood will prove to be a path that allows me to offer my skills in the service of wisdom, compassion, and awakening. My Buddhist journey is a fifty-year arc: the adolescent student attending Alan Watts lectures in the 1960s; the psychologist on internship at the Center for Mindfulness in the 1990s; the yogi on retreat at the Insight Meditation Society and the Springwater Center; my jukai and shukke tokudo in the White Plum Asanga lineage and Zen Peacemaker Order. I went from being a Westerner interested in Buddhism, to a Buddhist sympathizer, to a lay Buddhist, to an ordained Buddhist—each of these stations on a journey towards greater commitment to a path that has continued to enrich my life beyond words, and for which I am profoundly grateful. I have some concern as to how my fellow sangha members may react to my robes. Robes have the potential to signify something else for others than they do for me. It’s possible that the robes may be experienced—subtly or unsubtly—as somehow putting a separation between me and others. I hope that concern proves to be unfounded. 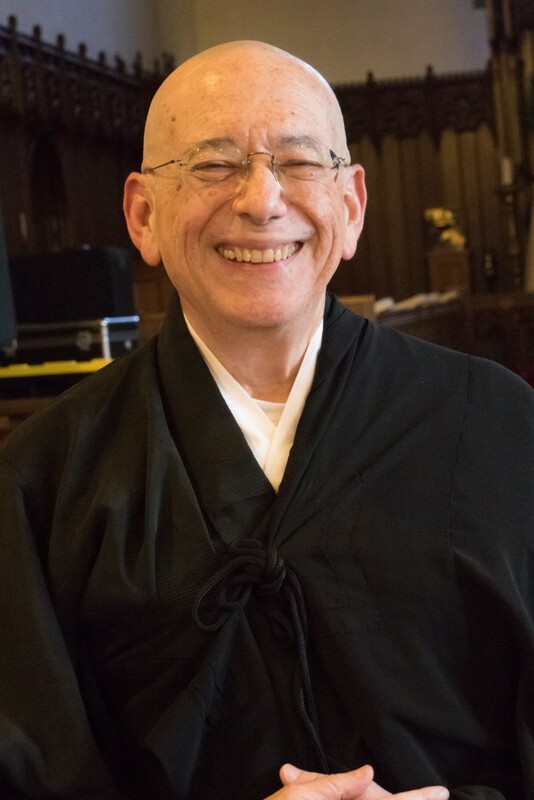 While fully dedicated to zazen and awakening, many of my sangha members do not identify themselves as being “Buddhists,” and some are skeptical of and even averse to Japanese tradition and ritual. They lean towards a modern, American Zen—spiritual, but not necessarily religious—rather than towards preserving Zen’s Japanese heritage. I’m sympathetic to that—I’d have never found my own entry into Buddhist practice through more traditional Asian Buddhist forms. I’d probably have run the other way. My first teachers, like the late Toni Packer, stripped sitting and awareness down to its barest essentials, making it possible for a skeptical Westerner like myself to relate to them. We’re all beneficiaries of an ancient flowing tradition. I’m grateful for that tradition and wish to continue to honor it as we step into the future. Not every aspect of it—not the authoritarianism and sexism, for example. But much of it. The dialectical tension between traditionalism and modernism affects every aspect of Buddhist metaphysics, ethics, and practice. It always has and always will as Buddhism has historically crossed and continues to cross cultural and temporal boundaries. I’m glad to be deeply rooted in and a part of an evolving tradition, and to be intimately engaged in the never-ending dialogue over how to shape its future. Gassho, Jokai. Which barriers were you thinking of? Congratulations. So glad to see some new posts from you after a long silence. I can see you have been busy preparing for this new station. Your priest’s pledge is compassionate and wise. Thank you for manifesting the best aspects of traditionalism and modernism, and writing about it. Were you ordained? Or, did you ordain someone? Hi, Pat! I was ordained. There is no pizza in Nirvana– are you still interested in it?